Prague’s Kino Svetozor now has an English friendly movie night every Tuesday at 20:45. The appropriately named ‘Catch-Up Tuesday’ screens a foreign film with English subtitles every week, so that non-Czech speakers get a chance to see some of the award-winning independent films that they may have missed. The weekly film night kicked off in April with the controversial Israeli award winner Foxtrot (pictured). 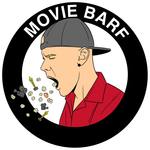 For an updated weekly program, scroll down and make sure you like the Movie Barf Facebook page for more news. This is the first weekly English friendly movie night in Prague. Get in there! For tickets and other details, visit cinema website.